Our clients tell us that a ProGARM garment lasts as much as 70% longer than other leading Arc Flash protection brands. We know that you want the best possible Arc Flash and Flame Resistant protection for your team, but understandably you want that at the best price too. No-one wants to compromise on safety, but there’s also no need to compromise on quality or durability either. ProGARM’s range of protective clothing provides excellent value for money. Quality materials and production methods matter when it comes to Arc Flash and Flame Resistant clothing. To deliver this, ProGARM is committed to quality assurance throughout our range. We utilise our unique VXS+ 100% inherent Fabrics in our products to ensure the level of protection offered to your team. Along with this, the ThermSAFE components incorporated into our garments increase their structural integrity. Every stitch, button, popper and press-stud is Flame Resistant, and so is the ThermSAFE Stretch Tape that enables ease of movement. In fact, we’re so confident in the structural seams of ProGARM garments that we offer a lifetime seam guarantee. Garments that can withstand the rigors of daily use and provide protection from Arc Flash and fire incidents haven’t traditionally been the most comfortable to wear – but it’s been said that ProGARM garments are “as comfortable as pyjamas”! 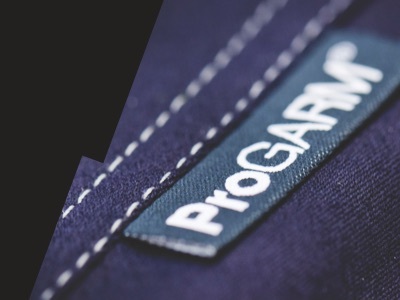 ProGARM has taken giant leaps in design and production to develop quality protective garments that function brilliantly as well as feeling great. Our garments deal with the fundamental aspects of safety and protection at the same time as being waterproof, warm and functional. They also incorporate useful pockets, loops and design features that benefit the wearer every day. Not only this, they are remarkably durable too. Durability begins with the fabric of a garment. 100% inherent fibres like our VXS+ Fabric ensure that the flame resistance doesn’t simply wash out of the clothing. 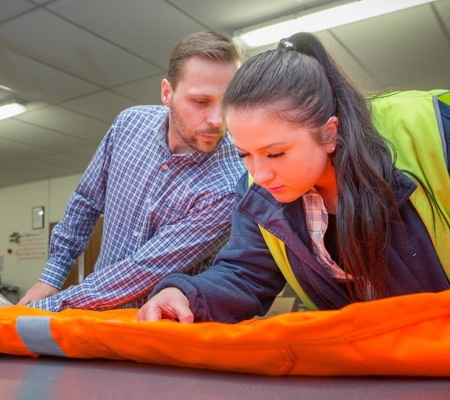 It’s also vital that the hi vis qualities of the garment can withstand daily use too. We’ve tested the colour fastness and shrinkage of our garments through 50 test wash cycles. It’s simple: ProGARM’s high quality Arc Flash and Flame Resistant garments provide excellent value for money. If you buy cheap products, they may perform for a short time but then require replacing earlier. However, purchase ProGARM protective garments and reap the benefits of superb Arc Flash and Flame Resistant protection for up to 70% longer. 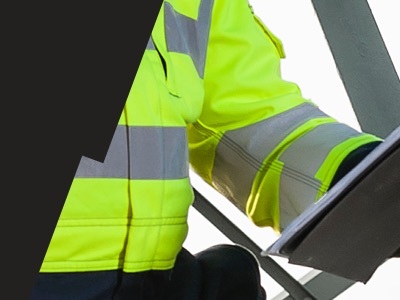 ProGARM Arc Flash and Flame Resistant garments are created with a single-minded focus on the wearer to ensure every aspect of the design and production offers the highest levels of protection as well as great function, fit and comfort. 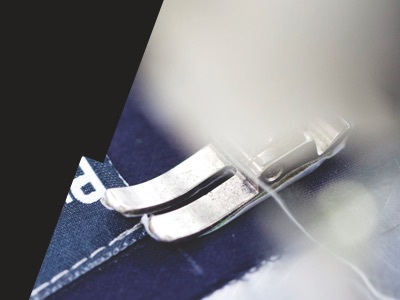 Every garment from ProGARM is not only produced to the highest specifications, but is also subject to rigorous quality assurance checks, which helps us fulfil our commitment to delivering superior garments, every time. The quality of our VXS+ fabric and exceptional manufacturing process means ProGARM Arc Flash and Flame Resistant garments protect your team for longer – up to 70% longer in fact. 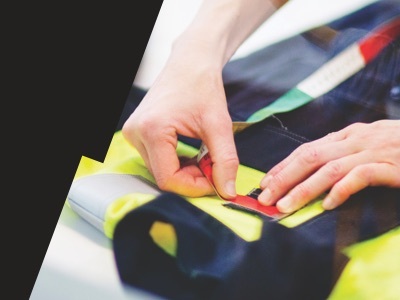 We understand that hi vis Arc Flash and Flame Resistant clothing must be colour fast, as well as protective, so we participate in extensive trials to ensure our clothing can withstand multiple washes. Arc Flash protection and flame resistance is delivered from the seams up in ProGARM workwear garments, as we use the highest quality threads and identify high stress areas to ensure the seams are up to the rigors of daily use.